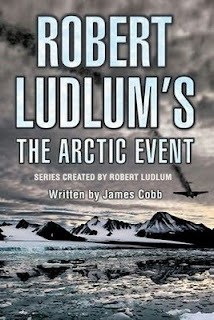 This book is part of a series created by Robert Ludlum but written by James Cobb. Confusing isn't it? James Patterson does a similar thing by co-authoring many of his books now, but forgive me for being old fashioned, but if it's Robert Ludlum's series, shouldn't it have been written by him alone? I don't believe writers should continue to write a book series after an author's death. Okay, now that's off my chest, let me tell you I enjoyed this book. Recommended by a family member, I struggled with the introduction as this is the first real 'spy' book I can remember reading, (Ludlum having of course written the 'Jason Bourne' series). Once the characters were established, I was off and running/reading. I was easily swept away by the plot but had to groan at the old enemy of the US, Russia, playing the bad guys. It did fit well with the plot though and the setting in the arctic had me pulling my doona right up to my chin and feeling the cold. 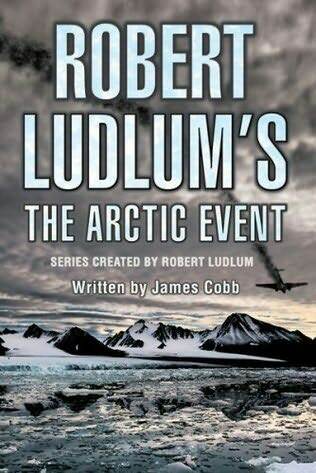 The Arctic Event was exciting enough and I could easily see it being made into a film.